I understand I have not been posting very regularly this last week. It’s been a bit hectic, with exams and results. 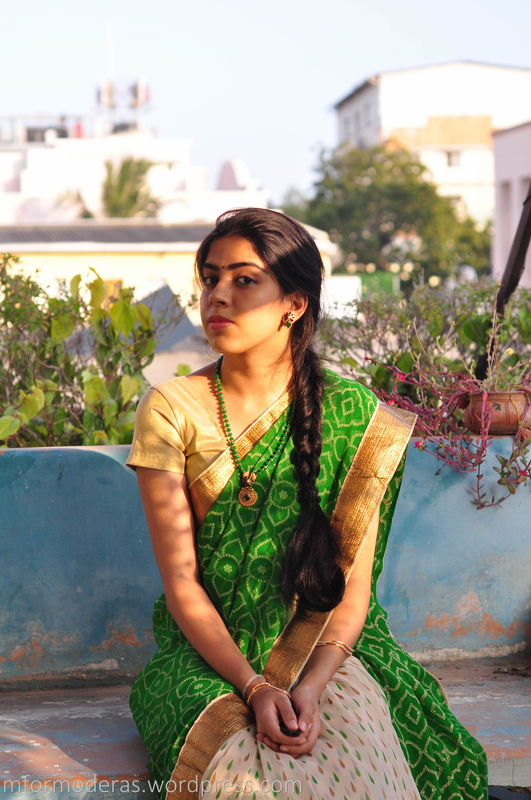 But hopefully, on this auspicious day of Pongal, I go back to my schedule and stick to it. 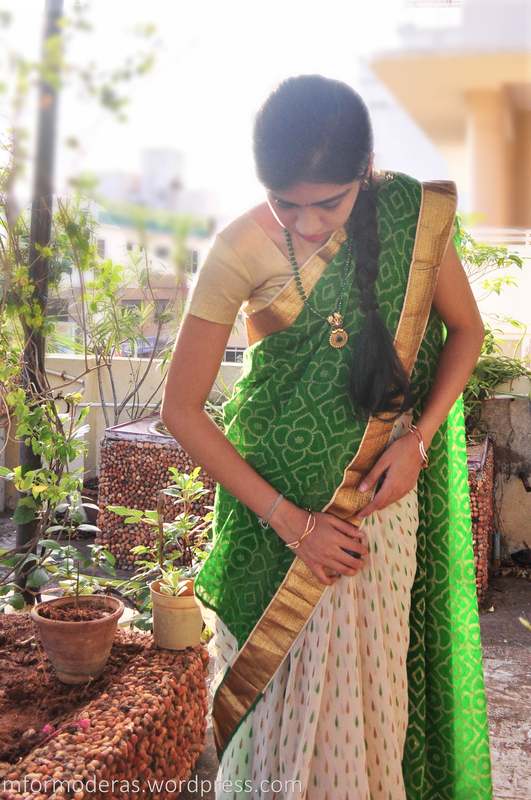 It’s fun to celebrate Pongal (the Tamil harvest festival)- there’s good food & time with the family. We get to wear new clothes and watch movies on TV (or if you’re like me, binge-watch Glee). I had fun wearing a sari. 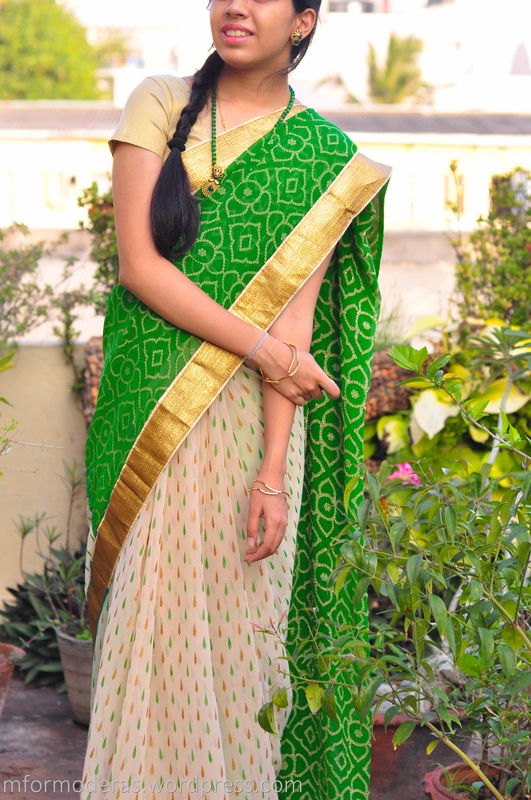 Green is always a favourite colour and this half-and-half saree takes away the “grown-up” aspect of a sari and makes it look more like a half sari instead. Gold blouses are a must-have because they go with everything (almost). And since I spent it at home, I didn’t focus much on the footwear in this post but any gold pair will do. The jewellery is a fave- my mother bought the pendant off Facebook & decided to bead it (is that the phrase?) for me. I love that hint of blue in the pendant. such a pretty half saree !! 🙂 where did you get it from ?? Not sure.. About Rs. 1,500 max, not more.